Hey, everybody! On this video, I want to tell you about Facebook Ads and the difference between manual bidding and auto bidding, and which one you should use depending on the stage of your campaigns. 1 – AUTO bidding: Set a budget for Facebook to find as many conversions as possible with it. Auto bidding is better when you have small budgets and you're starting out, when you want to test campaigns, when you want to test audience. 2 – MANUAL bidding: You specified on Facebook what you’ll pay for conversion, so it will get you as many conversions as you possibly can with that specific target cost. When is it better to use it? Use Manual Bidding when you want to start scaling. So, if you really want to take your Facebook Ads campaigns to the next level, and still be profitable, manual bid is the best way to go. Bear in mind these two differences and you’ll improve your Facebook ads. Also view make money using Facebook $100 a day. One of the biggest questions that I get a lot is, Hernan, should I use manual bidding or auto bidding on my ads? This is kind of a secret, all right? Don't tell anyone because, in this video, we're going to talk about that. Hey, everybody, welcome to another Facebook Ads video, and we're going to be talking about Facebook Ads, which is completely new. There is no one video on YouTube or Facebook that's talking about Facebook Ads, so this is kind of new. We're going to be talking about Facebook Ads because that's a topic that you guys seem to love and really like, and you are actually begging for more Facebook Ads video. There's one of you guys keep calling me saying, Hernan, please make Facebook Ads videos and whatnot. It's kind of creepy actually. 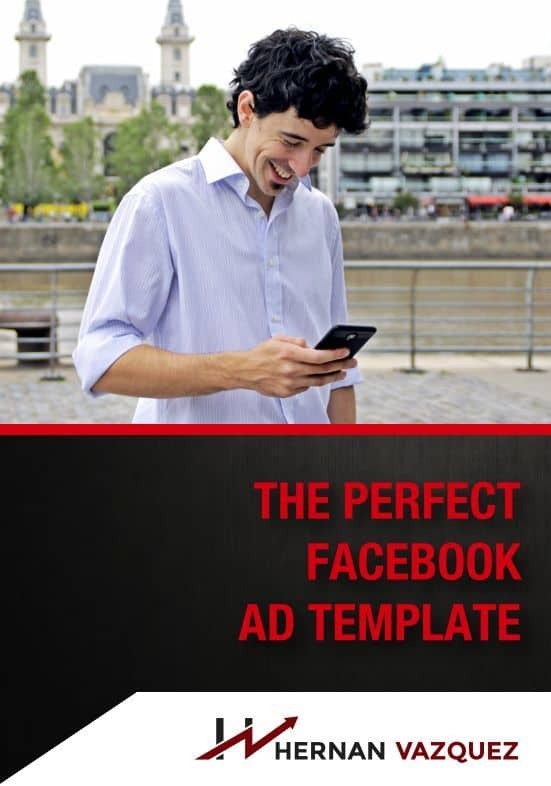 Check out this Facebook Ad template, you'll be amazed. Anyways, I wanted to talk about Facebook Ads and the difference between manual bidding and auto bidding when it comes to your Facebook Ads, and which one you should be using depending on the stage of your company. With that said, I wanted to also invite you to join the free Facebook group, which is completely free. It's a great group. It's full of resources and whatnot. We talk a lot about Facebook Ads on that group as well, so you're welcome to join. You're welcome to drop your questions over there. It's completely free and I'm pretty sure you're going to love it. Facebook Ads and manual bidding and auto bidding. Here's the thing. I talked several times in a row, I think that I made like seven videos in a row or something like that, telling you guys that the Facebook algorithm is really, really, really intelligent. Once you have your pixel and once you have your custom conversions fired up. If you do not know how to install the pixel I would strongly suggest that you visit this video right here and we'll show you how to install the pixel and how to get that data fitting into Facebook. With that said, you want to install the pixel as soon as possible. A lot of people are coming and saying, well, you know, I wasn't planning on advertising on Facebook yet, so I didn't install the Facebook pixel. I'm getting a lot of organic traffic or I do some influencer marketing, or I do some email blast, and whatnot, but since I'm not advertising on Facebook, I didn't think it was that important. But, yeah, it is because you can start collecting data right away. The same happens with Google. You want to install the Google tag manager or the Google tag for adware and the Facebook pixel as soon as you start getting some traffic on your website. I mean, since minute zero you want to get those tags and those codes in there. There is because Facebook and Google start tracking even for people that are not on Facebook. They will start tracking all of that behavior on those data points, so that it can feed them back into the algorithm. The reality is that there're two main things that you can do. You have the auto bid, which is way of saying, Facebook, hey, Facebook this is my budget and I want you to find as many conversions as possible for this specific budget. There's the manual bid, or what will be called target costs on the campaigns, like the actual conversion campaigns, which is saying, Facebook, this what I want to pay for conversion, so you get me as many conversions as you possibly can with this budget for these specific target costs. They're both a really, really, really effective approach. Now, the reality and the usual consensus is that auto bidding is better when you have small budgets, when you want to test campaigns, when you want to test audience, and whatnot. When you're starting out, when you don't know what's going to happen when it comes to your cost per lead, or your cost per click, your cost per 1,000 impression, and whatnot. Or even if you're testing new angles and new creative, new pictures, new videos, you want to usually go with auto bid so that you can actually get people, and get Facebook getting that, and gathering that data and those data points. TLR is that auto bids work really, really well when you have small budgets, when you're trying to test it out, when you're getting your feet wet, and when you want to launch a new funnel and you do not know how it works. When you're testing stuff, auto bid works really, really well. Let's say that you, through auto bidding, you found a really good angle and a really good image, and then you get a really good targeting because you know that this specific demographic is responding really, really well through your audience and to your offer. So what do you do on that regard? Well, on that regard, it's usually recommended that you switch to manual biding as long as you're ready to scale. Usually manual bidding and target cost bidding takes budget higher, so the way you want to do this is you want to get your budget perhaps a little bit higher, but you want to control how many people see your ad and how many conversions your getting based on the target costs. So let's say that you want to pay up to $5 per lead on your webinar, so that's exactly going to be your target cost, but you want to have the ad set budget set a little bit higher, so that Facebook can actually optimize and get you as many leads as possible at that target cost. Now, have in mind that you need to have other metrics in place, right? 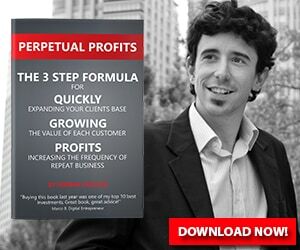 Let's say, let's follow the webinar example, you want to know exactly how well your webinar is converting, how many people you're getting through the webinar, what's the conversion rate, what's the maximum cost per lead that you want to get, what's the maximum cost per acquisition, meaning how much you want to pay for a customer. This also applies for e-commerce. This applies for pretty much everything, so you want to have in mind your metics funnel wise, so that you can tell Facebook, hey Facebook, here's a $1,000 a day, go ahead and spend it, and get me as many attendees, or active cards, or whatever, for $5 a day. Now, something in between when you're trying to migrate from the manual bidding to the target cost bidding is manual bidding with a big cap. That's usually kind of a middle ground between the two, so it's still manual bidding, but you're capping the bidding when it comes to how many you want to charge or get per lead, how much you want to pay per lead. That's usually in between and it doesn't require follow up, that you really want to be on top of your ads when you have your manual bid, but it's not just like get loose, Facebook do whatever when it comes to your auto bid. Also, depending how well and how savvy you are on Facebook, you want to opt-in, you want to opt for automatic bidding when it comes to running your Facebook Ads because, again, when you're starting out and if you don't want to spend a lot of time managing your Facebook campaign, so you have a small budget, that's the way to go. And, if you really want to stay on top of your game, if you really want to take your Facebook Ads plan to the next level, and still be profitable, manual bid is the best way to go. Target costs or manual bidding, they usually work really, really well. Now, please remember that Facebook is an option, so you're actively being bidding or you're actively bidding against other advertisers that they are trying to reach your audience as well. So the higher the manual bid is, the better placements you will get, right? But, you need to make sure that, that manual bid makes sense with the KPS and the metrics that you have set up for the rest of the funnels as well. There you have it guys. That's the main difference between the two. If you want to go ahead and get more questions like this answered, don't forget to either, A, drop them in the comments, or B, join the free Facebook group because I share a lot of this stuff and a lot of other stuff as well on the free Facebook group. If you have any questions, as usual, just drop a comment below. Thank you once again for watching this video. Don't forget to hit the comments, subscribe, share, whatever you're watching this video, and I'll see you guys really, really soon. Bye-bye.